Where do planes go when they die? If they’re part of military history, they head to the 309th Aerospace Maintenance and Regeneration Group in Tucson, Arizona. 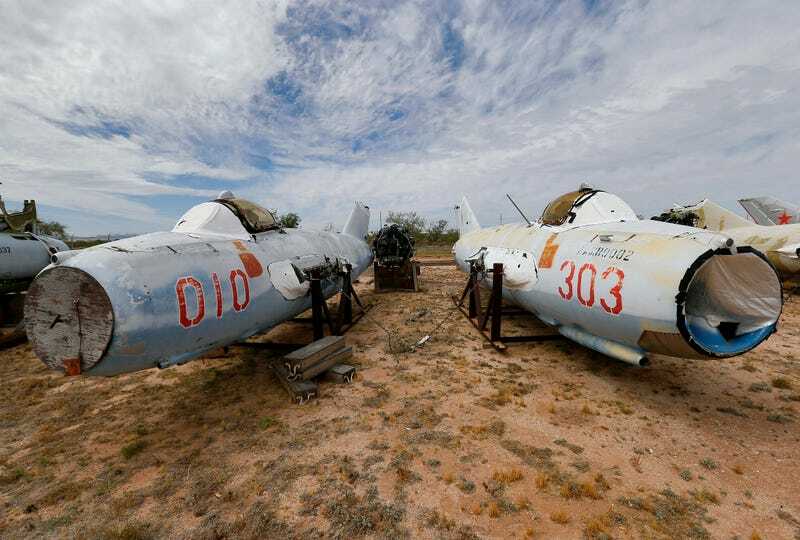 It’s a storage and repair site for military aircraft, but it’s also a final resting place where you can find dilapidated Polish fighter jets and broken missile rails about to be destroyed. Cause of death: Crashed during a resupply mission to Antarctica in 1971. Cause of death: Not dead! These will get turned into drone target planes somewhere down the line. Cause of death: Old age. This helicopter was once used to transport President Dwight D. Eisenhower. Hijacked in 1969 by Palestinian extremists, this Boeing 707 is one of the only civilian aircraft in the boneyard. Even though the hijackers detonated a bomb in the cockpit, this old bird was actually put back into commission until 1980.